Welcome to the Busy Girls’ Christmas Home Tour, a holiday blog hop brought to you by the hosts of Share It One More Time Link Party! 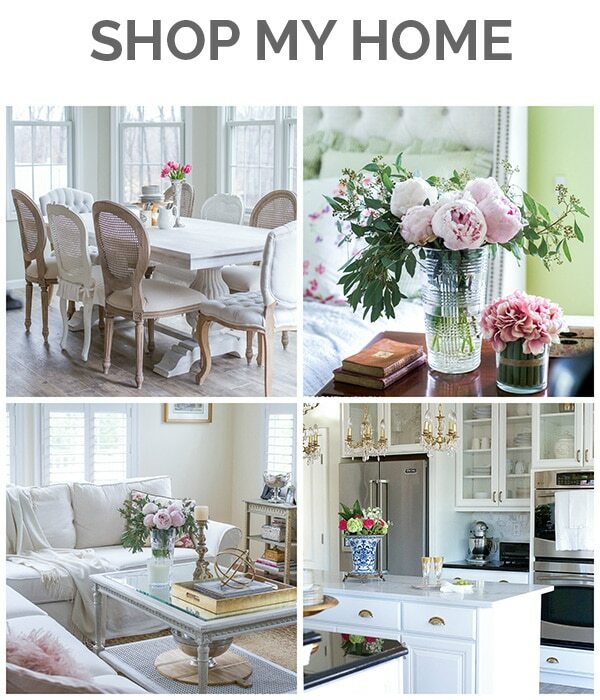 Please enjoy all 5 homes and, as an added treat, you can enter to win two great Giveaways at the end of the tours. Sit back, pour yourself a cup of tea and enjoy! This year has been a very interesting one for me. Among other things, we became empty nesters and moved to a new home that I’ve spent the better part of the year setting up, decorating and beginning some more structural renovations. I’ve had the opportunity to correct some of the design issues I’d wanted to address in the last home and as a result, I’m just beginning to enjoy the fruits of my efforts. 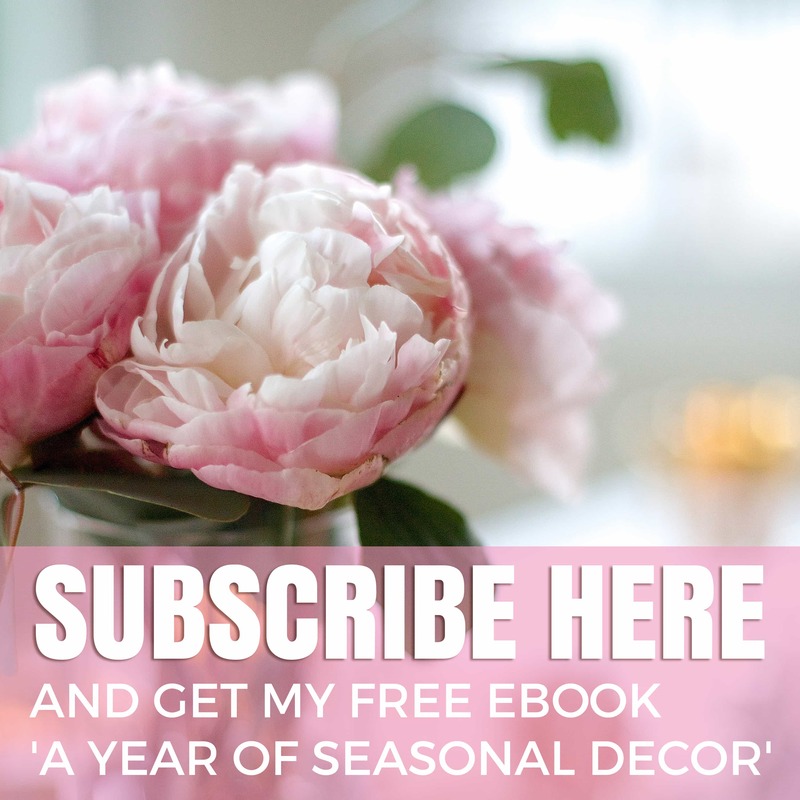 What this meant for the holidays is that I wasn’t ready to change what I’d just completed and opted to use a soft touch, decorating with a lighter hand and selecting things that complement my new decor. 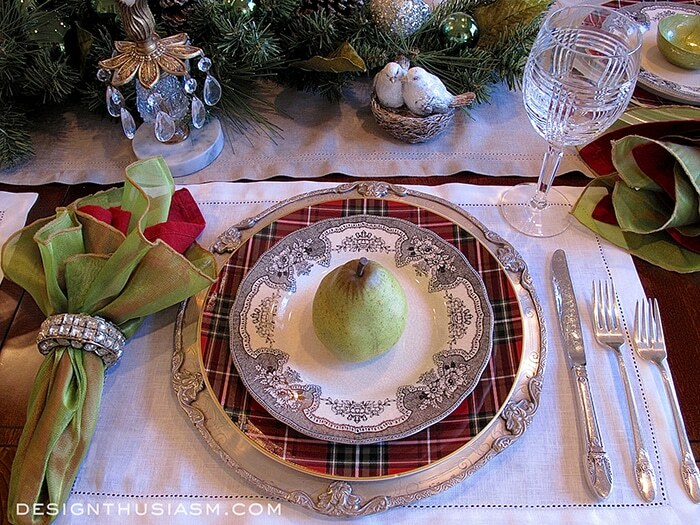 The one place, however, where I made an exception is in the dining room for my Christmas dinner table setting. 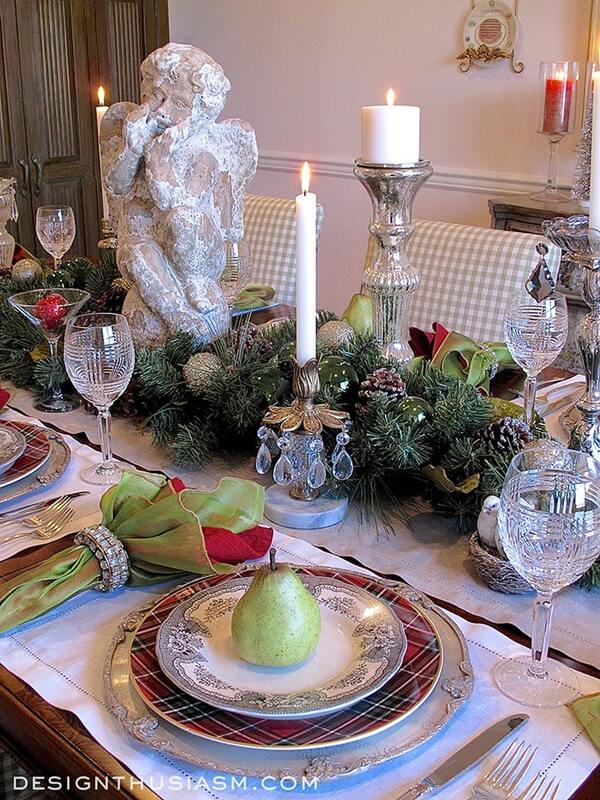 I don’t think I’ve ever met a dinner table that I didn’t want to set for a beautiful occasion. I think it’s the temporary nature of a tablescape that allows me the freedom to create a fantasy, even if it diverges from my everyday style. Of course I always bring my signature preference for casual elegance, but with tabletop design, I allow myself to use colors and themes that I couldn’t necessarily live with on a daily basis. I also approach tables the way I used to design fashion collections, beginning with a concept that, more often than not, is driven by color story and, more importantly, pattern mix. In this case I knew I wanted to use tartan, but I enjoy challenging myself to use patterns I’ve used before in new ways. Last year I did tartan with gilded chargers and rose china, so I knew I was looking for something quite different here. I had purchased the black and cream salad plates for an upscale Halloween table and thought it would be fun to re-use them here. 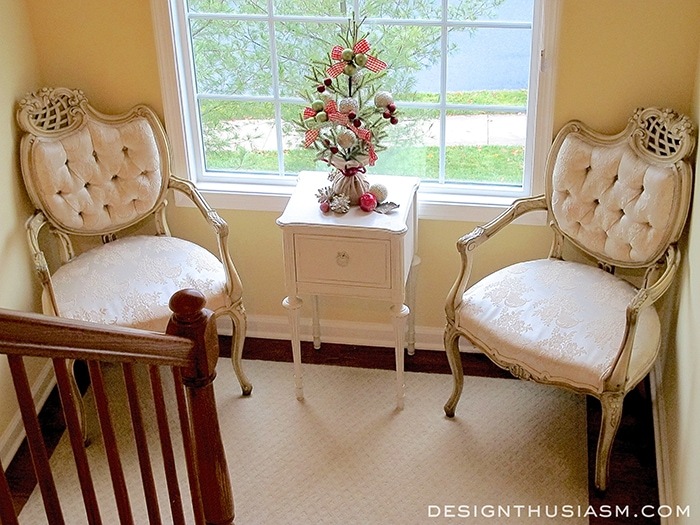 Once those two patterns were selected, I needed to ground my color story. Steering clear of the red and gold I had done before, I decided to concentrate on mossy green and silver, all with an underpinning of snowy white. To add a note of complexity, I chose not to use a tablecloth, and instead used white linen placemats and a stone linen runner. 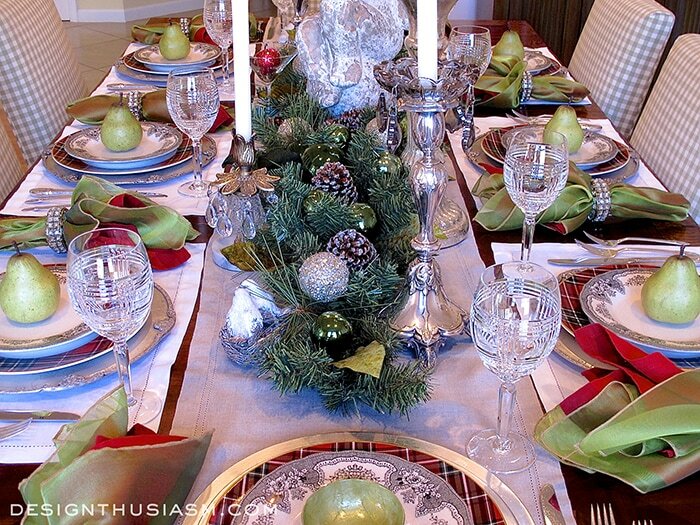 I like a table to look lush and full and the expanse of all white tablecloth can sometimes hinder that look. 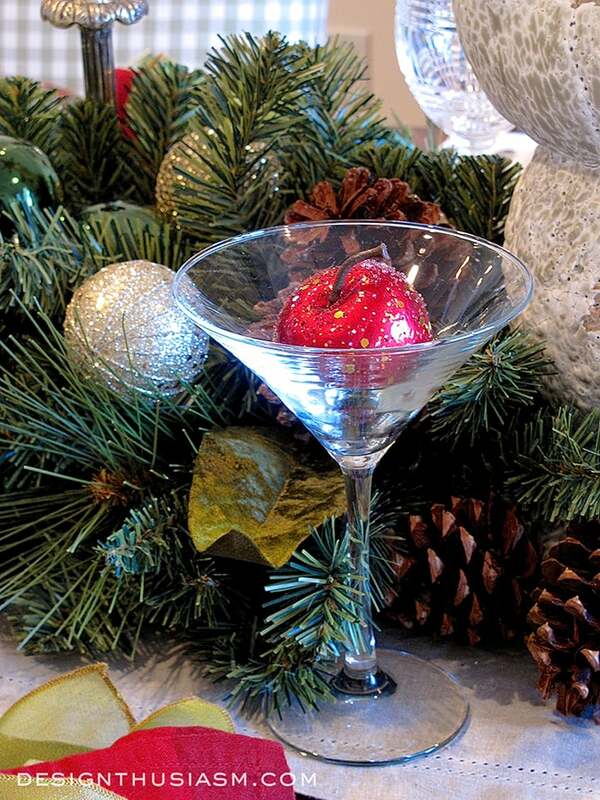 To ensure an air of festivity, I added holiday ornaments, both tucked into the greenery and even popped into a martini glass. 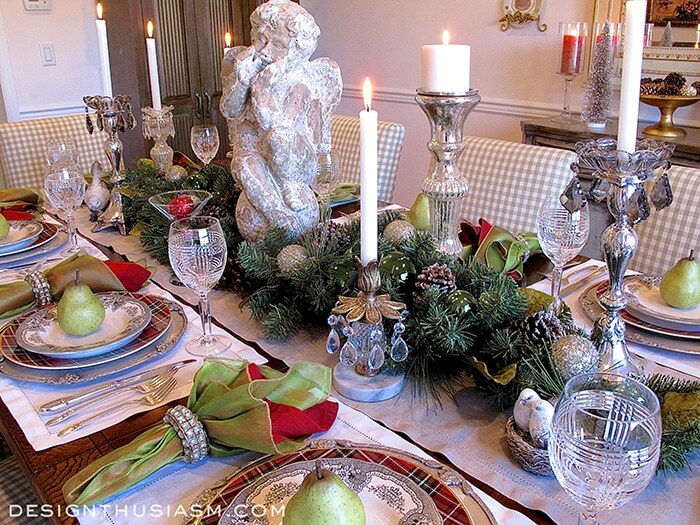 The restrained use of red makes it stand out even more and the glimmer of the ornaments communicates holiday cheer. 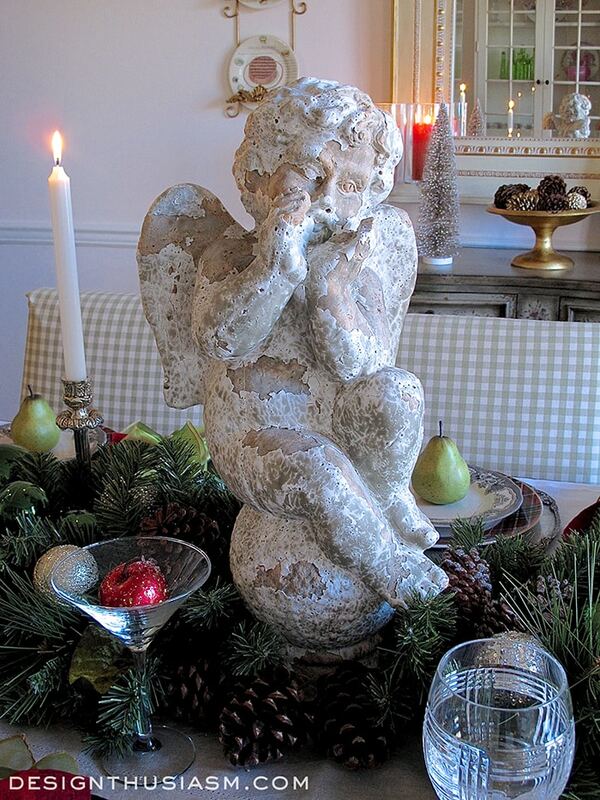 For the centerpiece, I wanted to highlight my cherub garden statue and around it I placed holiday greens. 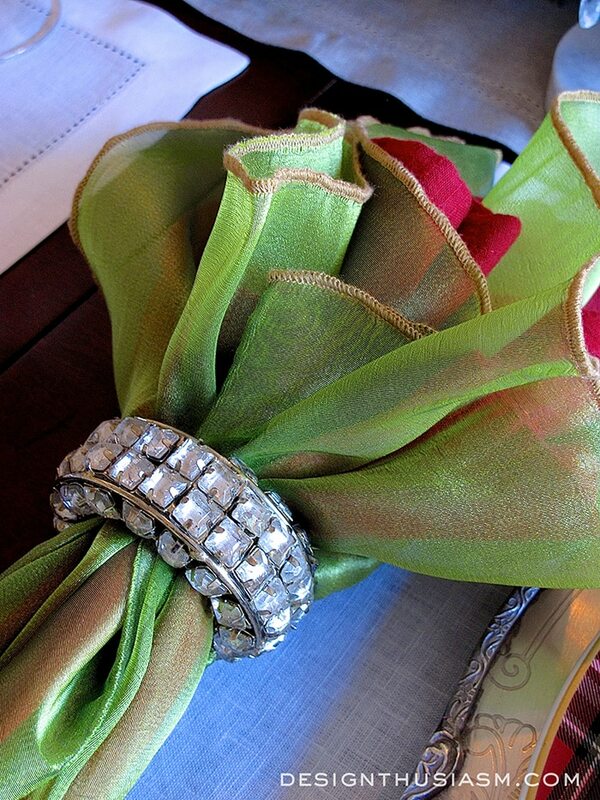 The greens are, in fact, two large door swags that I simply placed upon the table runner. 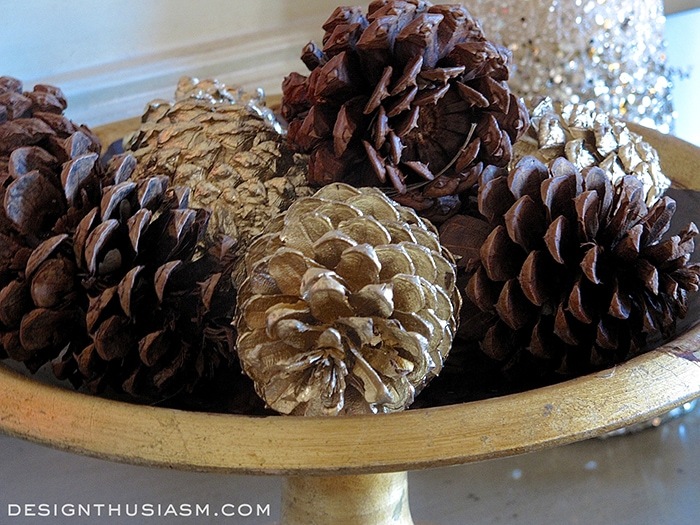 Snow dusted pine cones add to the Christmas ambiance. 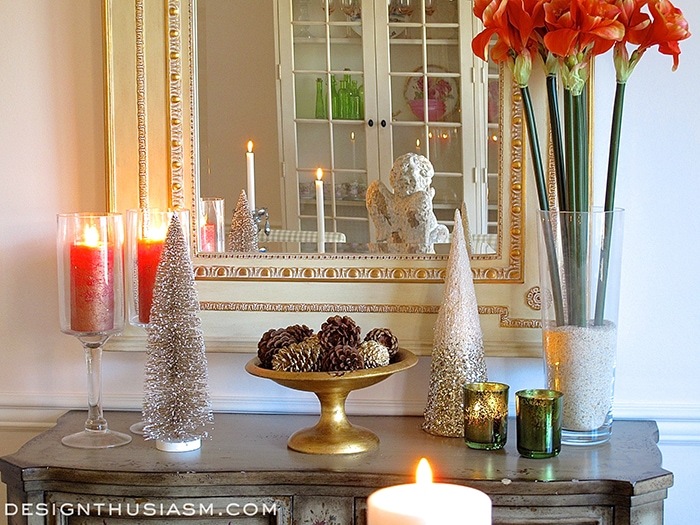 On the sideboard I continued the woodsy pinecone theme, both gilded and natural, gathered in a bowl and flanked by candles and bottlebrush trees. 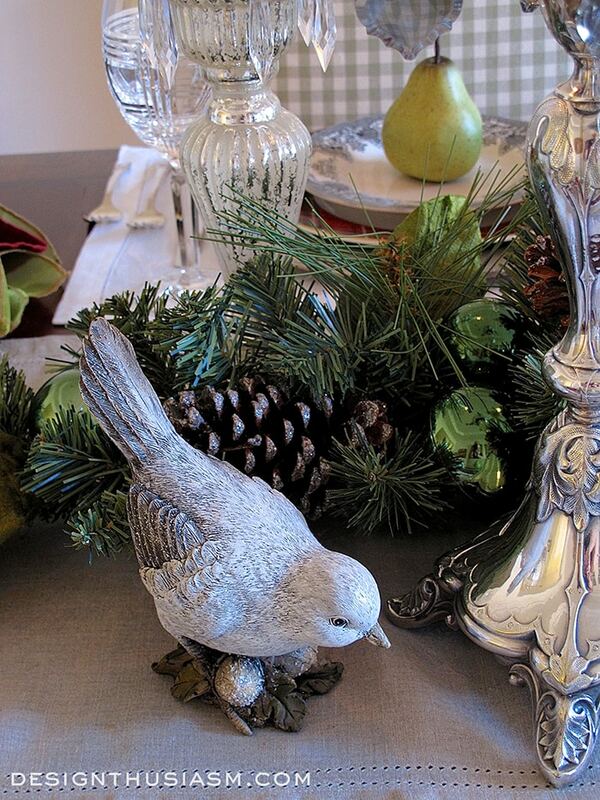 For whimsy and interest I tucked in these lovely birds and they look right at home amongst the winter greenery. 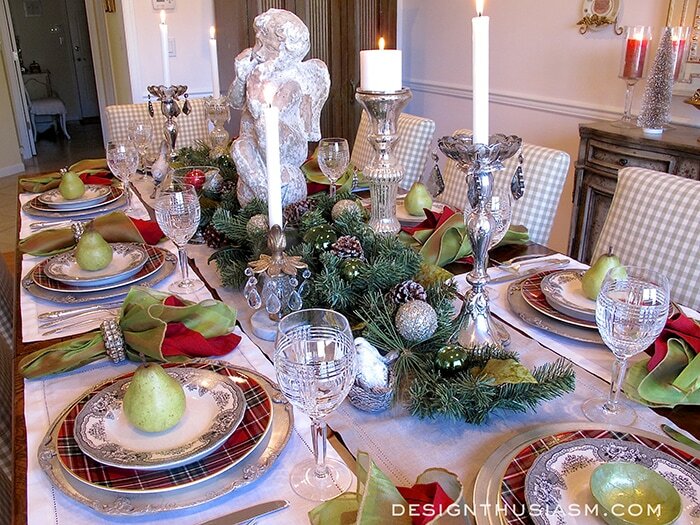 As a sculptural touch and for another bit of green, I placed faux pears at the center of each place setting. 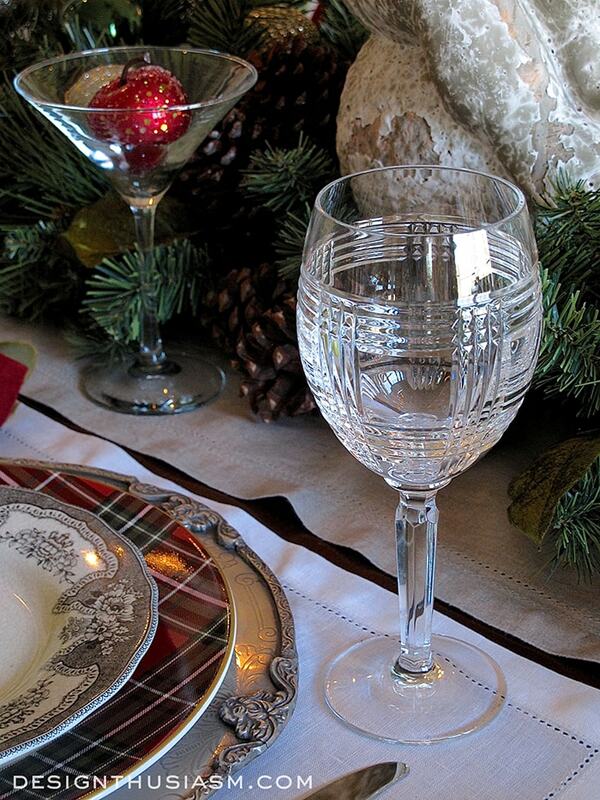 They work perfectly with the napkins and add a bit of height to the plate stack. I’ve written before about the provenance of my candlesticks, but for those of you who are new here, I’ll repeat their origin. 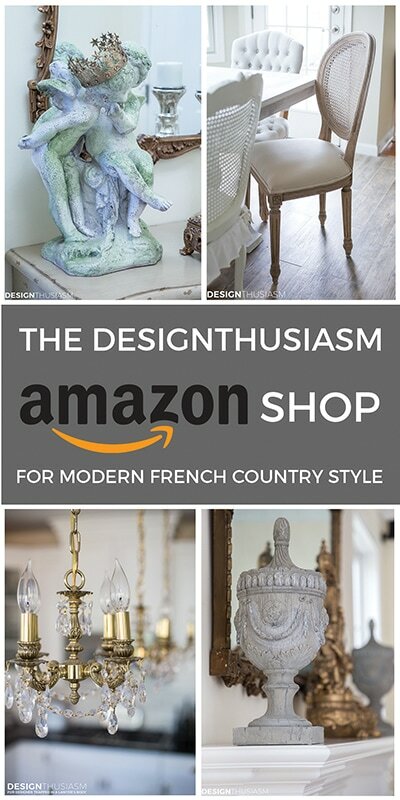 I love to buy candlesticks on all of my travels, and these are probably my absolute favorite. They’re from an antique market in Islington in London, but I was told when I purchased them they originated in Prague. The gunmetal bobeches I found in a sweet little shop in Mougins, France. 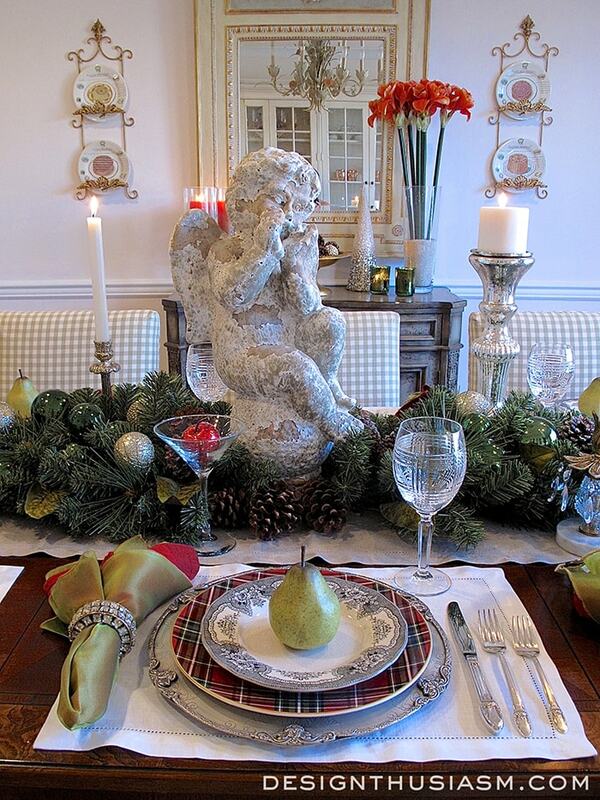 I love the chippy look the statue adds to the table, keeping all the bling from getting too serious. These brass and crystal candlesticks were found on not-so-exotic a trip, visiting my daughter at school in Bloomington, Indiana. 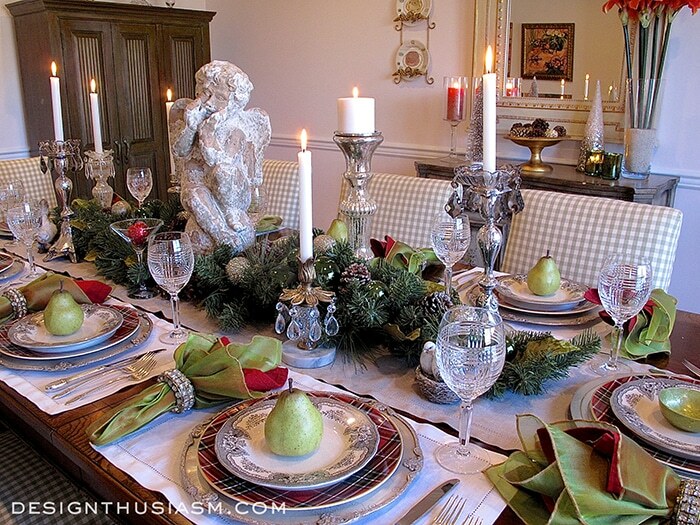 I’ve focused most of this post on this table setting, but here’s a look at some of the rest of the house. To keep this from getting too long, I’ll show just a pic or two of each, but you can click on the links to see the entire posts. 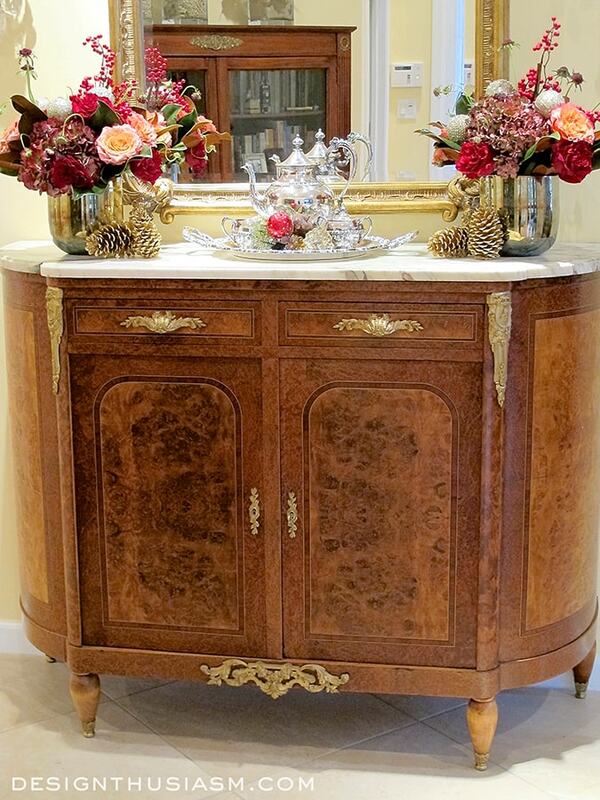 I started the season decorating our entry foyer adding festive bits to an antique French server. 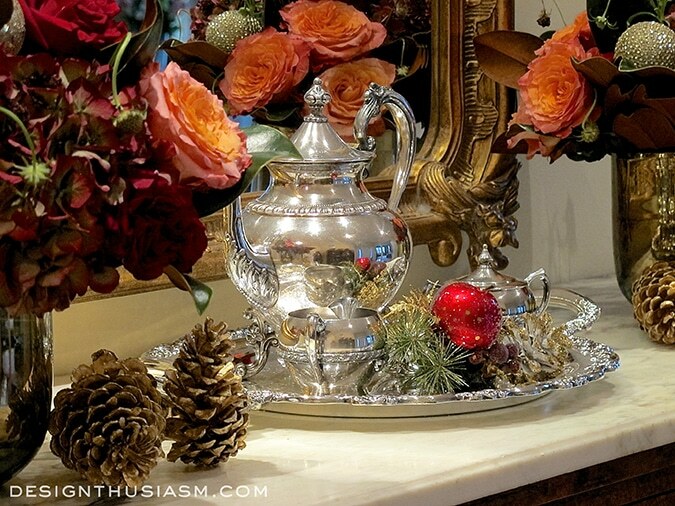 You can read the full post at Easing Into Holiday Decorating, a title which reflects exactly my approach this year. 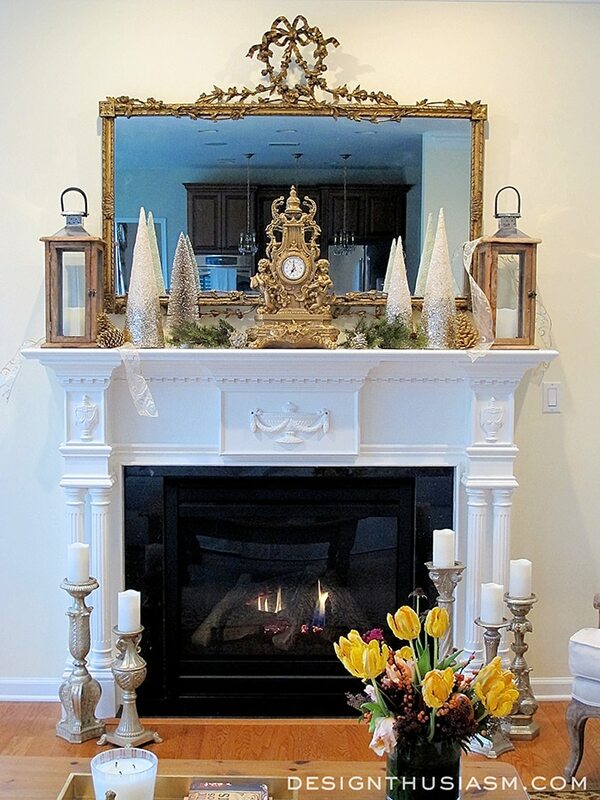 In the family room, I gave my mantel a similarly gentle touch, albeit gilded and glimmered and holiday-festive, for sure. That post can be seen at Decorating a Holiday Mantel with Casual Elegance, an aesthetic style I’ve come to really identify with. 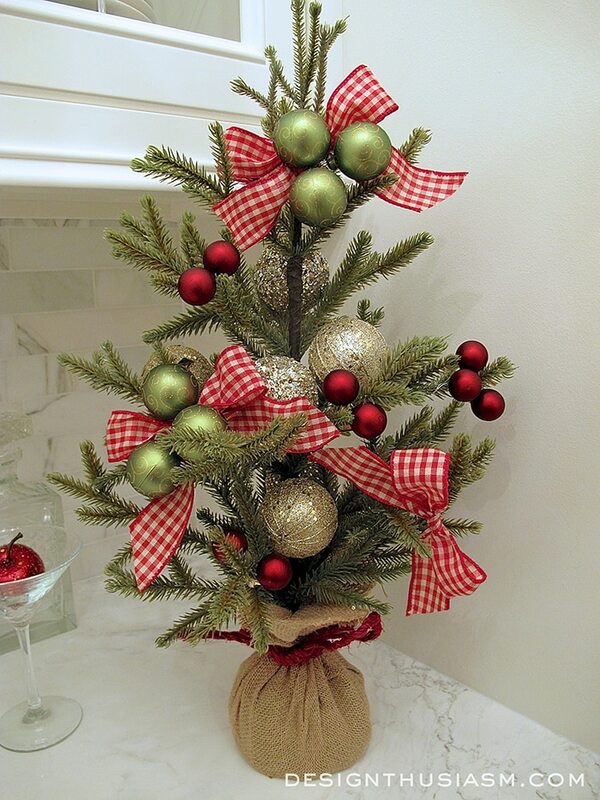 On my stairway landing I added a tiny tabletop tree, decorated with bows and ornaments to fit its diminutive size. You can see that post at Tabletop Christmas Tree Accenting the Stairway. 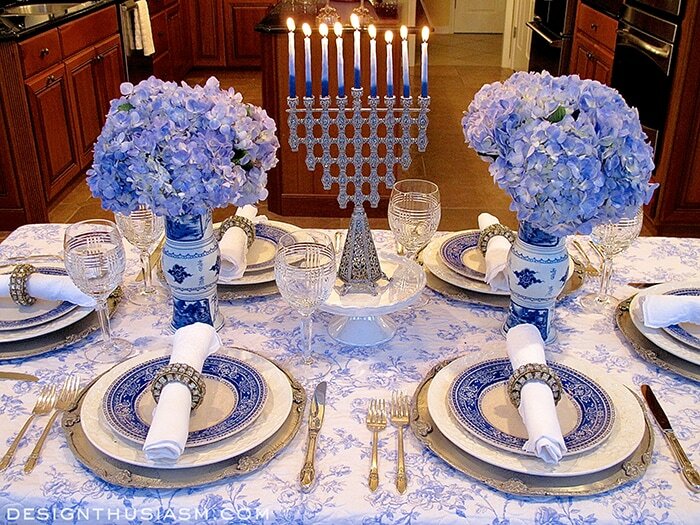 And finally, in the breakfast room, in a very different palette, my French Blue and White Holiday Table Setting is set for our Hanukkah celebration. 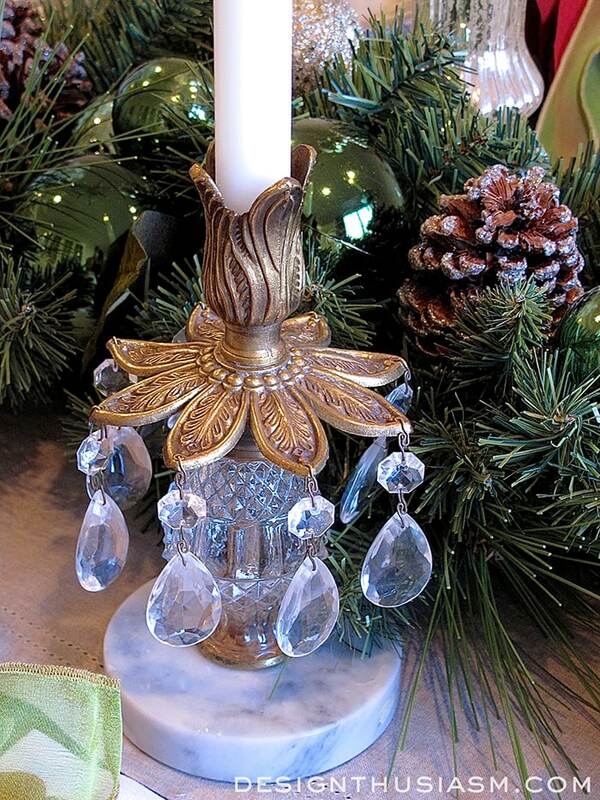 You won’t want to miss a close-up of this stunning new menorah. 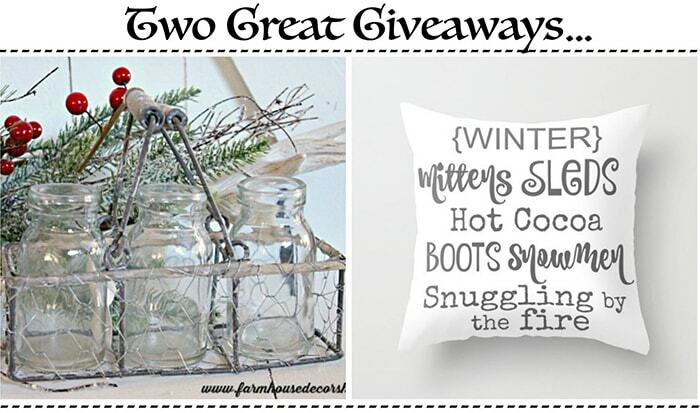 You can enter to win one of these delightful gifts, by following the instructions in the Rafflecopter below. Good luck and thanks so much for visiting! Please be sure to enjoy all of the tours, as well, by clicking on the links provided here. Linking with Refresh Restyle Inspiration Monday, Motivation Monday, Dwellings Amaze me Monday, 2 Bees Something to Talk About, BNOTPMM, Cozy Little House Tweak It Tuesday, A Stroll Thru Life Tuesday, Sand and Sisal Monday, The Scoop, Lou Lou Girls Fab Party, Homework Inspiration Board, Savvy Southern Style Wednesdays, Posies Dream Create Inspire, Ivy and Elephants Wednesday, Jan Olson Thursday, From My Front Porch to Yours, 21 Rosemary Lane Thursday, Bless’er House BWT, Designer Trapped DIY Like a Boss, BNOTPTT, Charm of Home Sweet Home, Feathered Nest Friday, The Creative Exchange, Craftberry Inspiration Gallery, Romantic Home Friday, Sweet Pea Best of the Weekend, Lakeshore Drive Bouquet of Talent, Thoughts from Alice Sundays. Stunning, Lory! 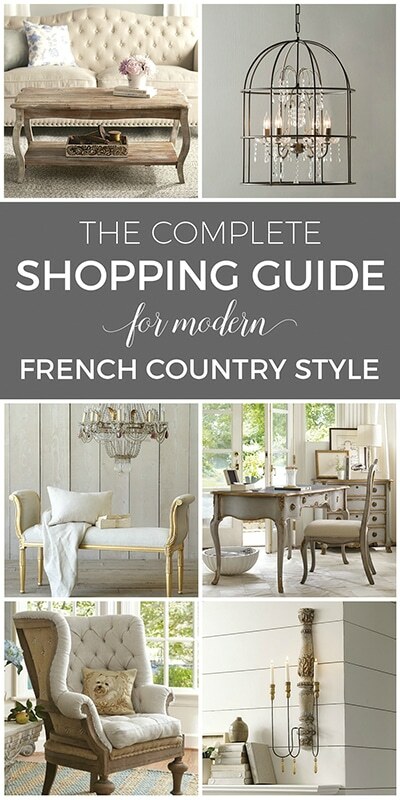 Your style is so elegant and beautiful yet approachable. LOVE everything! 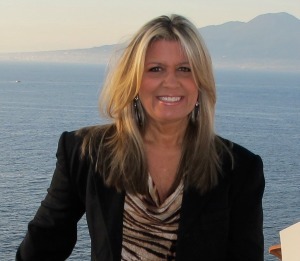 I applaud you for downsizing once you became empty nesters, two very big life changes! 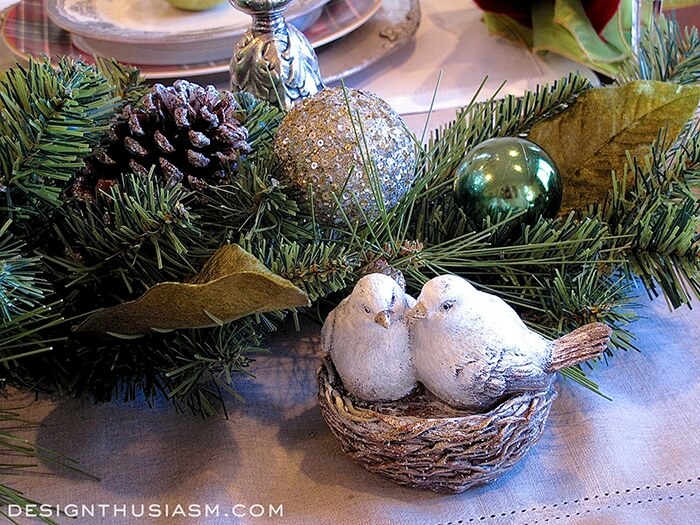 Our nest also became empty last year and we attempted to downsize but it didn’t happen and we find at Christmastime to be so glad we aren’t dealing with figuring out a new house! ? enormous undertaking on your part. Your tables are stunning and thank you for explaining the intention behind each as I always find that very helpful. 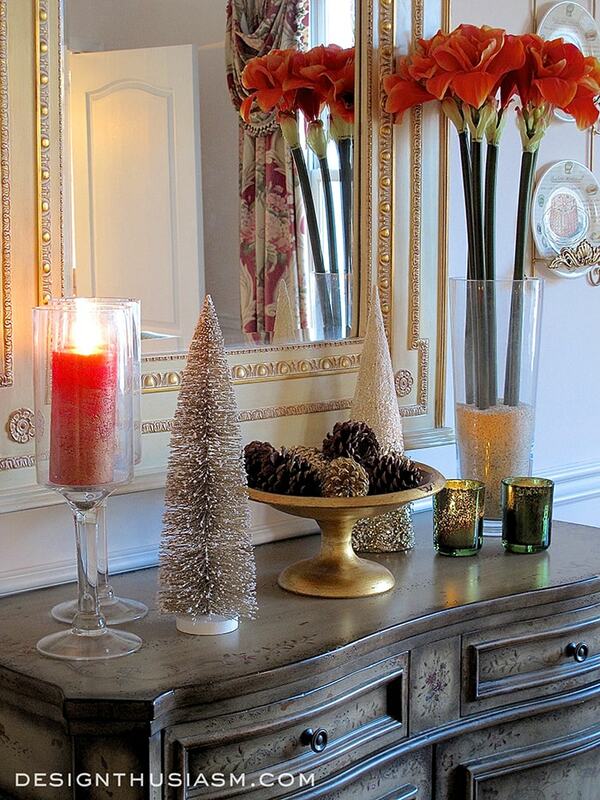 Hope your new home envelops you and yours with gratitude, love and peace this first Christmas. Pamela, thank you so much for your lovely comment! The funny thing is, while we did move to a townhouse, we didn’t exactly downsize… 😉 In fact, my new home is actually bigger than the old one… (I have secret hopes of luring the kids back as often as possible, and eventually with their own families! Ok, it’s actually not so secret… ;-)). We wound up with a home that has an open flow, which seems to work well for entertaining and parties, so hopefully there will be plenty of that. Thanks for the kind words and for stopping by and taking the time to comment. I wish you the Merriest Christmas!! Lory, Everything is done up so beautifully! 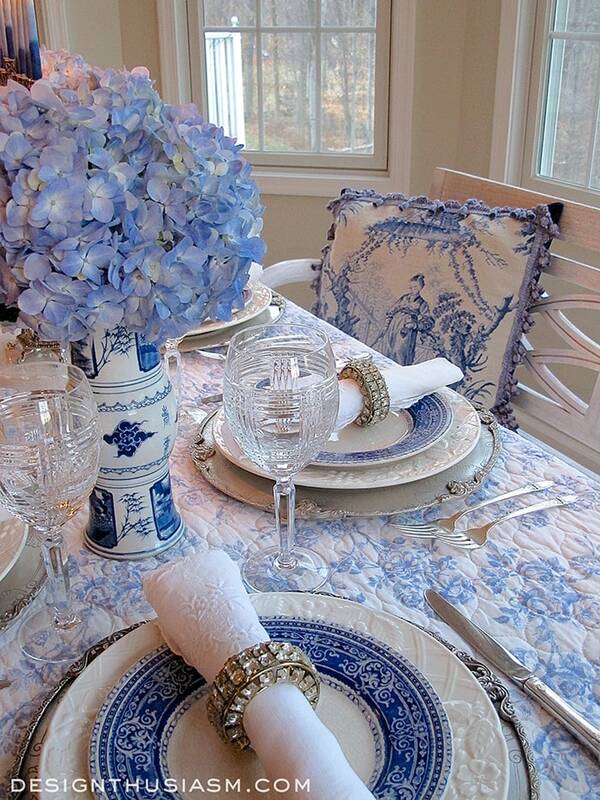 Love how you mixed your patterns and colors on your table so pretty and elegant! Thank you so much, Tammy! I enjoyed your tour as well… 🙂 I’m so grateful for the opportunity to join up with you gals!! Have a very Merry Christmas! Thanks so much, Cathy! I just came from enjoying your tour, as well… 🙂 Isn’t it fun how perfectly tartan works for the holidays? 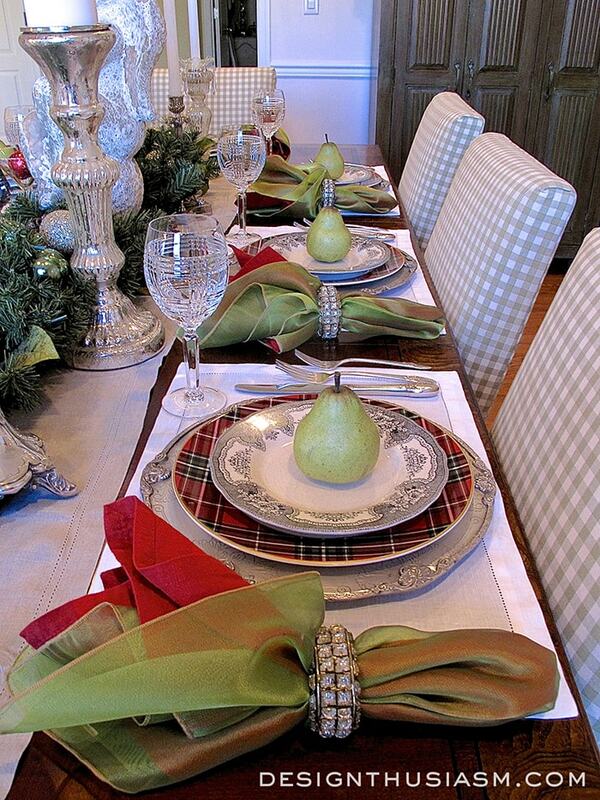 I see you’ve used plaids in your gift wrap decor and it just adds so much to the room. Wishing you a very Merry Christmas!! Where do I start since I love EVERYTHING??? 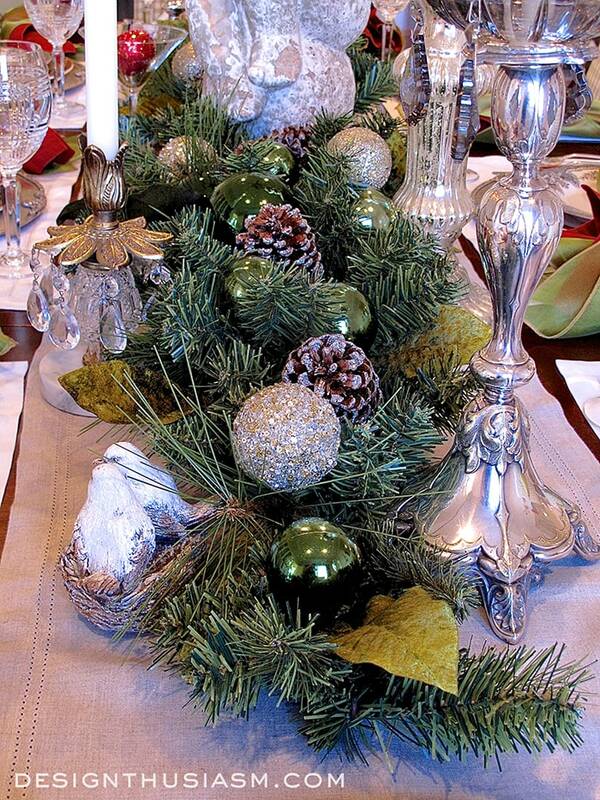 Please come be my table setter…you come up with such gorgeous ideas. 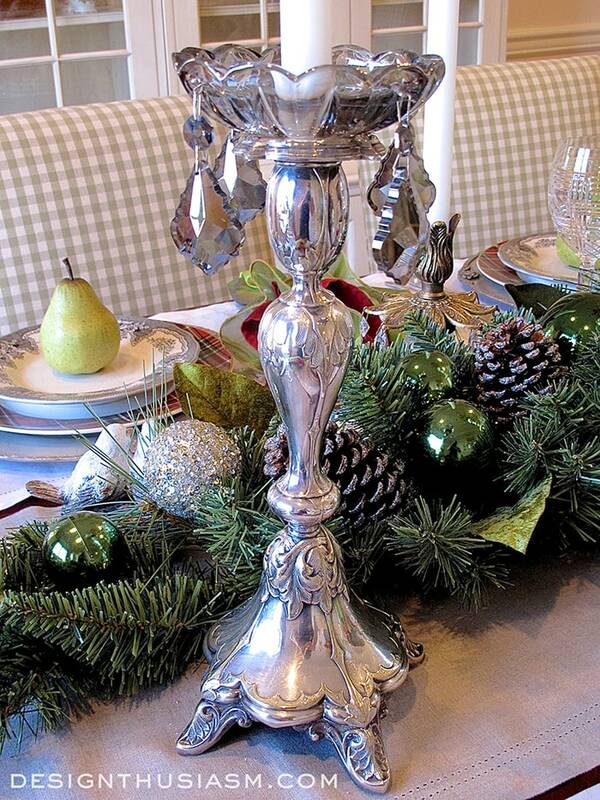 I am soooo crushing on those silver candlesticks. I save all your design ideas in my Lory folder and, sometimes, just to look at something lovely, pull them out and drool. You really are blessed with such a great decorating imagination. Bobbi, that is such a wonderful comment!! I’m so delighted to hear about your Lory folder… 🙂 I do the same with visuals I enjoy and I am chuffed and honored to know that I am inspiring to someone else! Thanks for reading and always leaving delightful comments! I wish you and yours a very Merry Christmas!! Enorme beleza, requinte e bom gosto… Parabéns e um feliz Natal!! !